Orinoco (OR-1) is the very latest strain to be released by Medical Marijuana Genetics. 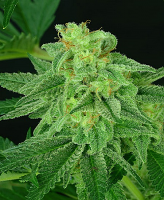 Orinoco (OR-1) Feminized Cannabis Seeds by Medical Marijuana Genetics Seeds: Orinoco (OR-1) is the very latest strain to be released by Medical Marijuana Genetics. It has higher levels of CBD than THC and was declared the winner of the Best CBD Strain at the Spannabis Champions Cup, 2017. CBD:THC ratio is 1.5:1. Orinoco is a mostly sativa feminized cannabis strain that is named after the South American river famed for the power of its waters. It has heritage of Mango Cheese from which it derives its intensely fruity flavour. Orinoco can be grown successfully in all environments, indoors, outdoors or in a greenhouse. Growth in the vegetative stage is prodigious and, following a 9 week flowering period, harvest yields are said to be high. Both aroma and flavour have an intensely fruity quality. Its THC production is approximately 9% while CBD clocks in at around 13.5%. 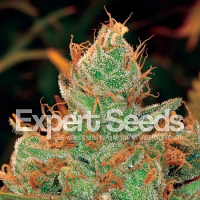 This is a very powerful, relaxing, therapeutic strain which is recommended to alleviate symptoms of the following conditions; Depression, ADHD, Anorexia, Epilepsy and Autism. 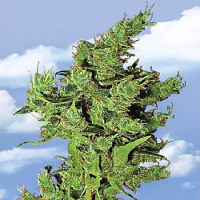 If medical marijuana is of interest to you then Orinoco is one cannabis strain that you should definitely check out. Buy yours at Seedsman today.